At today’s global fan event for Fantastic Beasts and Where to Find Them, author-turned-screenwriter J.K. Rowling made a surprise visit to announce that our favorite wizarding world just got a lot bigger. Streaming live on YouTube, J.K. Rowling appeared on stage with several stars of the upcoming Harry Potter spinoff, Fantastic Beasts and Where to Find Them. 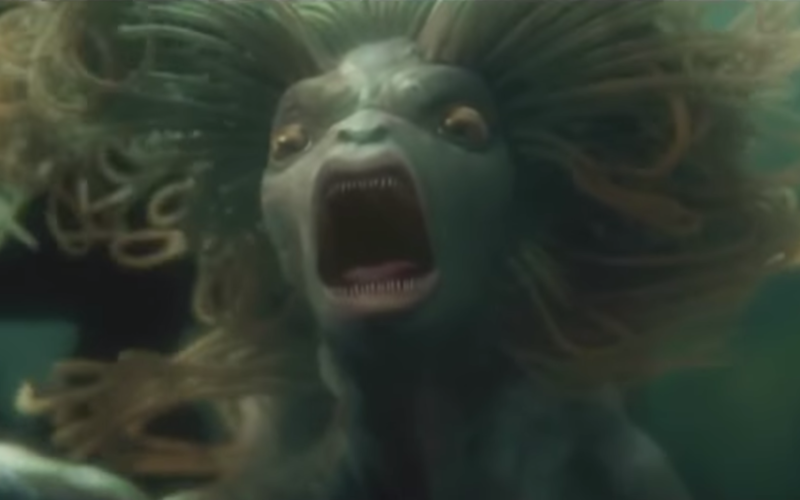 Though Rowling’s appearance was brief, she dropped a bombshell: a total of five movies, not three, are in the works. 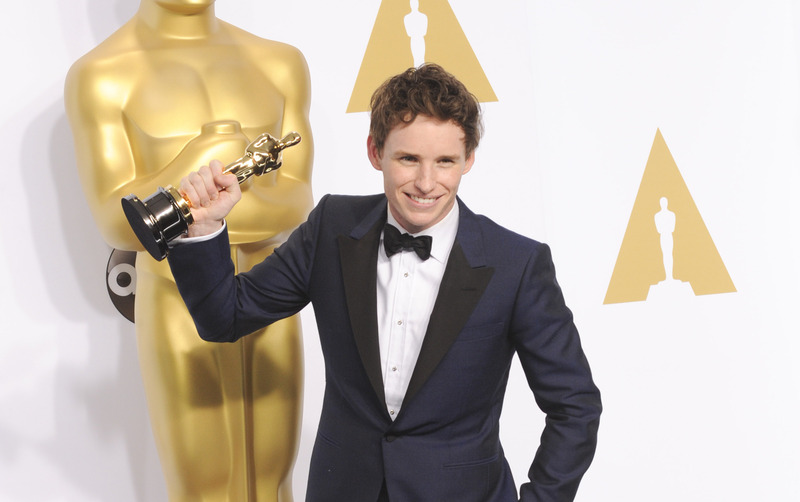 Eddie Redmayne, Katherine Waterston and Alison Sudol, who were also on stage in London during the fan event, were speechless at hearing the news. It seemed they were just as surprised — and thrilled — as we were. Keep reading to find out everything we know about the upcoming film. It was a long time ago — 18 years! — when we first heard about the book Fantastic Beasts and Where to Find Them. 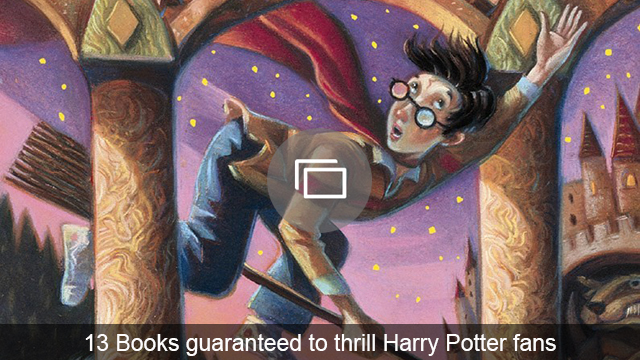 It was listed as one of Harry Potter’s required books as a first-year Hogwarts student. Well, like the Harry Potter series, this book will also be adapted for film. But it’s a little different. The fictional student manual, Fantastic Beasts and Where to Find Them (which Rowling actually penned into a real book for charity in 2001 as a Harry Potter collectible), is written by the fictional character Newton Scamander, a magizoologist. 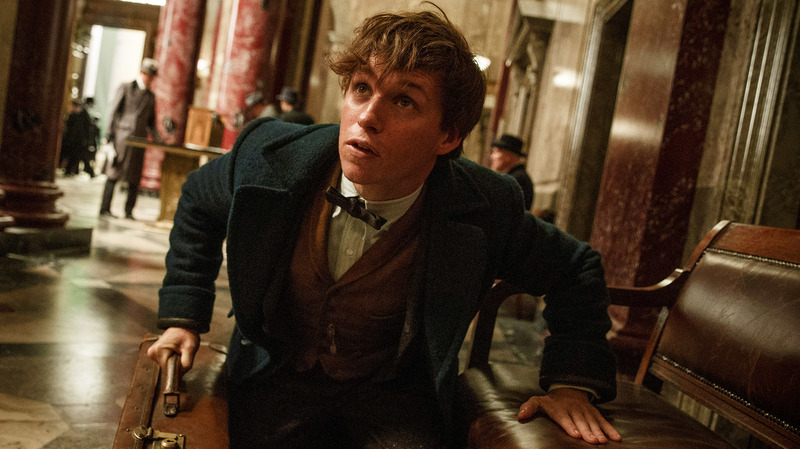 The movie follows the adventures of Newt and is set to be released Nov. 18, 2016. Here’s what you need to know about it (if you don’t already!). Magizoology is the study of magical creatures, of course. 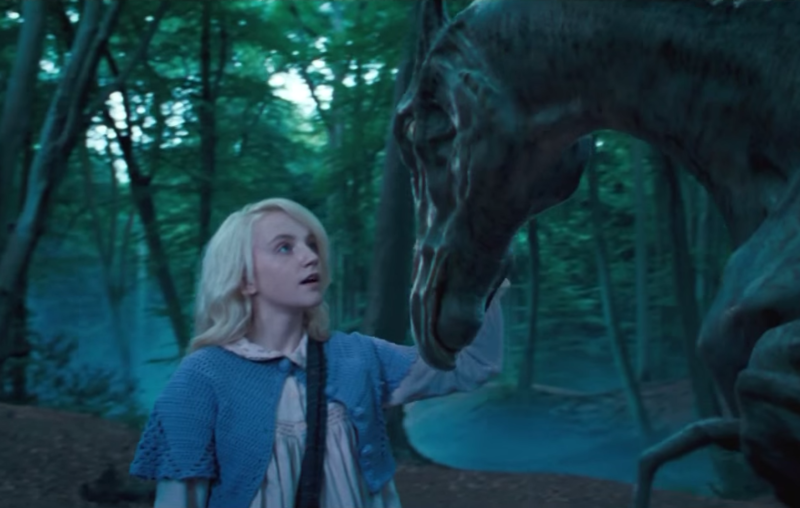 You may or may not remember that Luna Lovegood became a magizoologist. And here’s the cool part: She ended up marrying Rolf Scamander. Does that name sound familiar? Rolf Scamander is Newt’s grandson! In 2015, Warner Bros. announced that Katherine Waterston (Boardwalk Empire, Inherent Vice) will star as Porpentina (“Tina”) alongside Redmayne. Originally, she auditioned against Kate Upton and Elizabeth Debicki for the role of Tina’s sister, Queenie — but instead, she was picked over Dakota Fanning, Saoirse Ronan, Lili Simmons and Alison Sudol for the role of Tina. 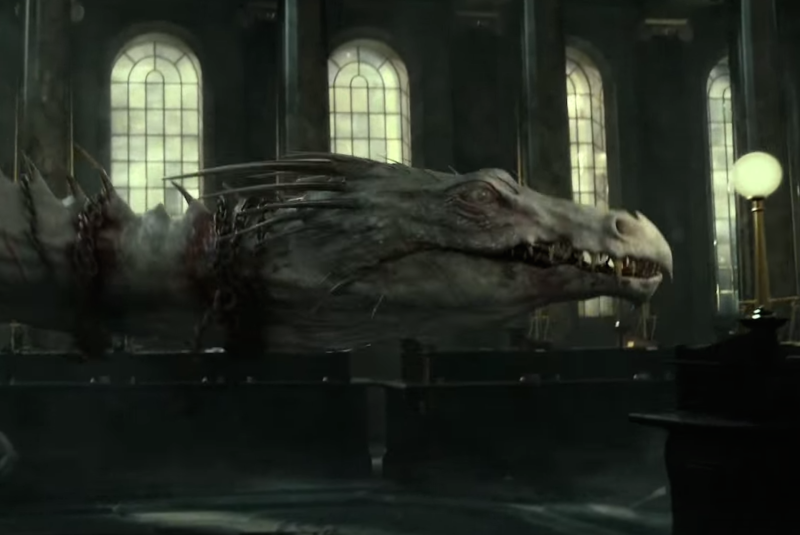 There will be a wizarding school in America. It is not located in New York. It has connections with a Native American culture. But, hang on, don’t go hunting for American auditions just yet. 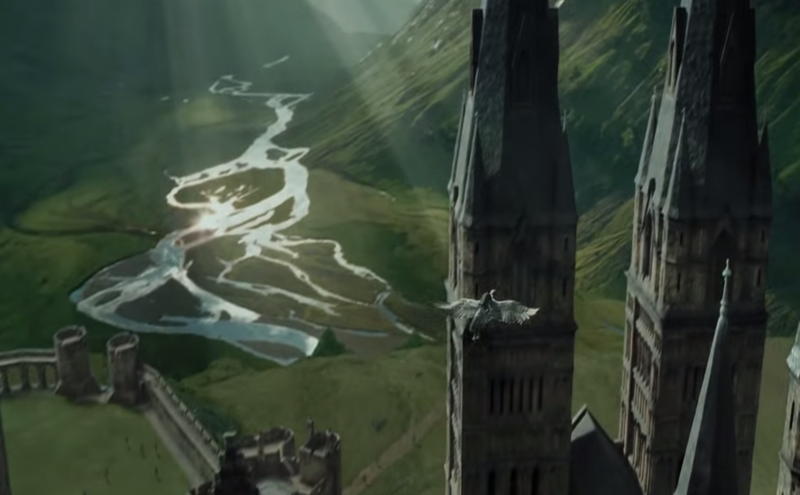 Even though the film takes place in America, it will be shooting on the old Harry Potter stomping grounds in Leavesden, Hertfordshire, in the U.K.
At the global fan event on Oct. 13, the mistress of magic herself, J.K. Rowling revealed she is writing a total of five films, not three as she suggested previously. Fans all around the world are rejoicing now that they can look forward to five magical films. Ellen DeGeneres dropped the trailer on Facebook, and it definitely makes us #WantToBeAWizard too.